Years ago I’d been asked by my teacher to assist a Thai massage class at the Esalen Institute. It required my taking a month off of work and could be taxing time wise and energetically but it was an opportunity I couldn’t refuse. I arrived and found myself in the most pristinely beautiful place I’ve ever seen in the US. In addition, wealth seemed to be everywhere. A banker from Wall Street would fly in for a weekend just to get massages and relax. I found myself in an odd place energetically and physically. 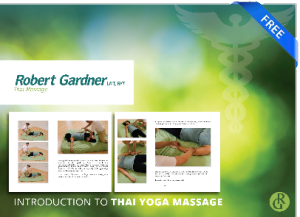 I’d worked very hard to be able to assist and help students learn Thai massage and I was still in pain from my long term injuries sustained from a drunk driver. I felt surrounded by wealth that I felt I could never obtain, after all, I got to go because I was the teaching assistant, not because I had a successful career and could afford it. The students were open hearted and one day while sitting in a circle we were asked during an exercise to make a physical expression of how we felt. The students took turns doing things like making hearts with their hands and opening them. There were smiles, dances, swirls and then it was my turn. I stood up and looking up, gave the finger. My teacher asked me later if I was giving the finger to god. I nodded and nothing more was said. She of all people understood where I’d been, where I was trying to go and the struggle I’d be up against on many fronts. She knew I was happy to serve, happy to teach and assist but had issues with the wealth I was seeing around me. It’s taken years to develop my practice, to come to terms with feelings I’ve had for what seems like an eternity. My pain is less, my body continues to heal and align itself. The anger lessens and I share joy in new ways. Once while watching a video with BKS Iyengar he said, “I was gifted with ill health.” He had a gleam in his eye and I’d missed it the first time I’d seen it. I cried. I knew that he’d taken up his own life, his own karma and worked with it. Instead of feeling downtrodden, he used his own body as the experiment. When he’d healed himself he continued to help others heal themselves. His path is very similar to mine except in my case, I’d been injured by someone else’s choice to drive drunk. Iyengar’s was more nature, mine was nurture. Over the years I’ve continued to work and take up my own karma. I’m less angry, more calm, more optimistic and I feel better in my body and spirit than at any time since before the accident. I don’t feel anger to the man who hit me, I don’t feel anger towards god and look at the whole experience as one that’s necessary. Without that pain, without that experience I would never have become who I am today. Many would be in pain because I wouldn’t have been able to help them. My life has become one of service. May god use me as a willing tool. The oyster is irritated by the sand that gets inside the shell. This irritation eventually forms a pearl. You can’t shine without friction.